We are Rocky's Kitchen & Bath Remodeling, Tampa Bay's home remodeling experts. With more than 25 years experience remodeling homes, we're confident in what we do and that we provide all our customers a service they will be happy with. With a focus on kitchens and baths, our work truly speaks for itself. We have many extremely happy customers and would love to add you to our growing list of content clients. Our goal is to make sure you are completely satisfied. If for any reason you are not, let us know immediately and we will fix any issues you may have. 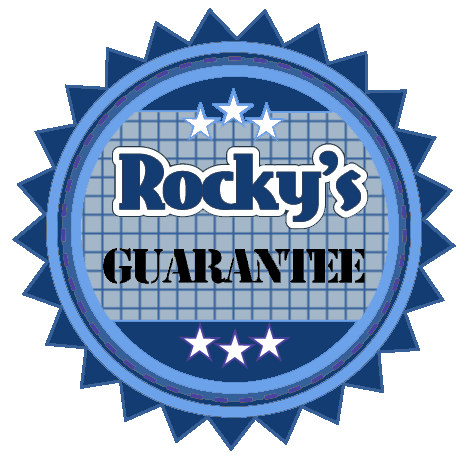 That's why we offer Rocky's Guarantee: We are so confident in the quality of our work, that, for up to an entire year, if anything should go wrong with the work we completed, we will go back and fix it, free of charge. Since every job is different, the way we like to work is we go to your home, see exactly what you want completed and then give you an estimate. We offer this service for free. For only a few minutes of your day, you can have our licensed contractor give you a free estimate at completely no charge. If you choose us as your contractor, you can expect top-of-the-line work completed by experienced professionals. By the end of the project, we guarantee you will be satisfied. Contact us via the "Contact Us" page and fill out a form, call us at (727) 466-4086, or email us at Rocky@RockysRemodeling.com and let's get started!